Tu B’Shevat, the 15th of Shevat on the Jewish calendar — celebrated this year on Thursday, February 8, 2012 — is the day that marks the beginning of a “New Year for Trees.” This is the season in which the earliest-blooming trees in the Land of Israel emerge from their winter sleep and begin a new fruit-bearing cycle. 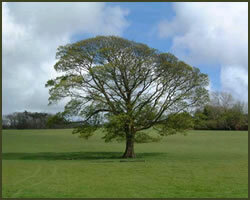 Legally, the “New Year for Trees” relates to the various tithes that are separated from produce grown in the Holy Land. These tithes differ from year to year in the seven-year Shemittah cycle; the point at which a budding fruit is considered to belong to the next year of the cycle is the 15th of Shevat. "Man is a tree of the field." How many ways can this statement be interpreted? What is Tu B'Shevat? Why is it celebrated, and how is it observed?